I'm having trouble with a couple hud elements randomly moving position, specifically the chat window and "BuildingStatus_Engineer"
I extracted using gcfscape my resource folder but I cant find the default version of basechat.res? Also is there anything other than the "BuildingStatus_Engineer" section from hudlayout.res that could be randomly moving my building status panel? HonsterI extracted using gcfscape my resource folder but I cant find the default version of basechat.res? Guys, how do I make the borders/edges sharper? Guys, why are the edges/borders not sharp? Is there a way to change it? solly6Guys, why are the edges/borders not sharp? Is there a way to change it? [quote=solly6]Guys, why are the edges/borders not sharp? Is there a way to change it? HonsterI'm having trouble with a couple hud elements randomly moving position, specifically the chat window and "BuildingStatus_Engineer"
Adding them like above prevents them from being moved. What is happeing when your BuildingStatus_Engineer element is being moved? Start of a game, new round, engineer weapon change, etc. I personally have my BuildingStatus_Engineer pinned so it doesn't move, but I don't recall what was causing it to move around. solly6Guys, how do I make the borders/edges sharper? All of the "BackpackItem.." entries (BackpackItemBorder_Unique, BackpackItemMouseOverBorder_Unique, etc) control those borders. Lower the draw_corner_width and draw_corner_height values to make them sharper. [quote=Honster]I'm having trouble with a couple hud elements randomly moving position, specifically the chat window and "BuildingStatus_Engineer"
Adding them like above prevents them from being moved. What is happeing when your [i]BuildingStatus_Engineer[/i] element is being moved? Start of a game, new round, engineer weapon change, etc. I personally have my [i]BuildingStatus_Engineer[/i] pinned so it doesn't move, but I don't recall what was causing it to move around. [quote=solly6]Guys, how do I make the borders/edges sharper? All of the "BackpackItem.." entries (BackpackItemBorder_Unique, BackpackItemMouseOverBorder_Unique, etc) control those borders. Lower the [i]draw_corner_width[/i] and [i]draw_corner_height[/i] values to make them sharper. i was wondering if someone could tell me what to edit so i could fix this? Does anyone have any experience with custom fonts being bigger on linux? I assumed it would be an error with the font file itself having missing glyphs or using non-standard EM sizes, but it doesn't seem to be either. I've tried working with the font in both otf and ttf, with the same error. shinsoi was wondering if someone could tell me what to edit so i could fix this? hudmediccharge.res, just make ChargeLabel a bit wider. If it's center aligned, you'll also need to lower xpos by half as much as you changed the width by. [quote=shinso]i was wondering if someone could tell me what to edit so i could fix this? JarateKingDoes anyone have any experience with custom fonts being bigger on linux? I assumed it would be an error with the font file itself having missing glyphs or using non-standard EM sizes, but it doesn't seem to be either. I've tried working with the font in both otf and ttf, with the same error. i use a very low res so when im at 100% uber it doesnt display it, otherwise its fine hudmediccharge.res, just make ChargeLabel a bit wider. If it's center aligned, you'll also need to lower xpos by half as much as you changed the width by. [quote=JarateKing]Does anyone have any experience with custom fonts being bigger on linux? I assumed it would be an error with the font file itself having missing glyphs or using non-standard EM sizes, but it doesn't seem to be either. I've tried working with the font in both otf and ttf, with the same error. I've had someone add me for this as well, having the issue with the default hud in the ammo hud element clipping outside the box on a Mac, so it seems to be a *nix issue that font-sizes behave differently between Windows and linux/mac. Have you tried adding the [$OSX] or [!$OSX] to font-size definitions in the clientscheme yet to test and see if it has any impact? Have you tried adding the [i][$OSX][/i] or [i][!$OSX][/i] to font-size definitions in the clientscheme yet to test and see if it has any impact? how do i make so the models/thumbnails are not transparent? Wiethoofd JarateKingDoes anyone have any experience with custom fonts being bigger on linux? I assumed it would be an error with the font file itself having missing glyphs or using non-standard EM sizes, but it doesn't seem to be either. I've tried working with the font in both otf and ttf, with the same error. Already discussed this all with wiet and got it sorted out, but for others running into the same issue you'd want [$LINUX] for linux specifically, since [$OSX] is only for mac. [quote=Wiethoofd][quote=JarateKing]Does anyone have any experience with custom fonts being bigger on linux? I assumed it would be an error with the font file itself having missing glyphs or using non-standard EM sizes, but it doesn't seem to be either. I've tried working with the font in both otf and ttf, with the same error. Whisker solly6Guys, how do I make the borders/edges sharper? Loadout panels still don't have the sharp edges/borders. Hello, I was using flamehud and because of the new update it broke. I went to the updated huds thread, got the new version and installed it as usual putting the old damage numbers to the resource>ui folder. The font and the size is the same but the color isn't, it's bright red. "fgcolor" "255 0 0 255"
P.S i've gotten close with the color in the advanced settings but it still seems off. polisHello, I am using flamehud and since the new update it broke. I went to the updated huds thread, got the new version and installed it as usual putting the old damage numbers to the resource>ui folder. The font and the size is the same but the color isn't, it's bright red. 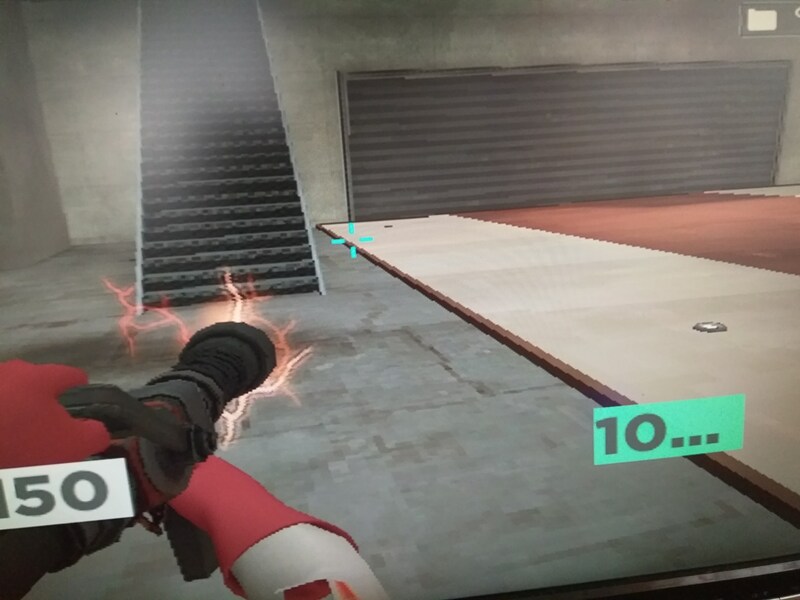 Hypnotize polisHello, I am using flamehud and since the new update it broke. I went to the updated huds thread, got the new version and installed it as usual putting the old damage numbers to the resource>ui folder. The font and the size is the same but the color isn't, it's bright red. 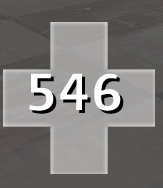 does anybody know how to remove the cross next to the health value? What should I look for in my hud files if I want to remove player names, ie. 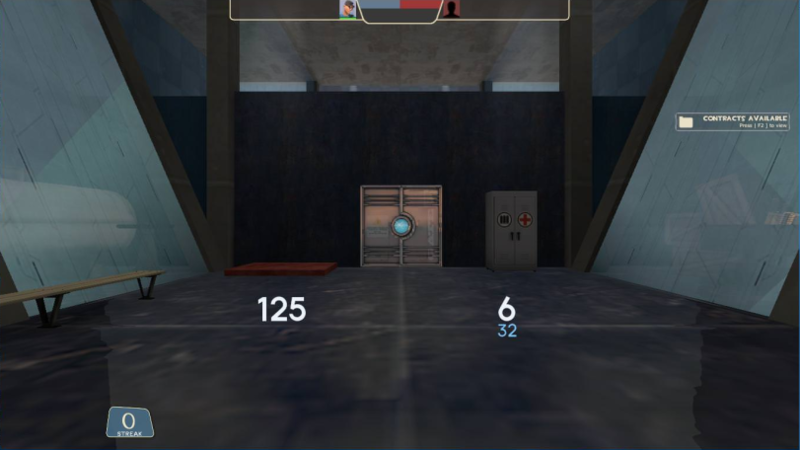 have player names in the scoreboard, targetui, etc, replaced with something like "-"
unsmellWhat should I look for in my hud files if I want to remove player names, ie. have player names in the scoreboard, targetui, etc, replaced with something like "-"
sludgedoes anybody know how to remove the cross next to the health value? [quote=sludge]does anybody know how to remove the cross next to the health value? Hey, how would one remove the friend's list from TF2 huds these days. I have a problem with the friends list always updating, making me lag out when I hit ESC from in game. If I can get help with this, I'd be thankful. I hate only using ToonHUD. RyoTheNeko89Hey, how would one remove the friend's list from TF2 huds these days. I have a problem with the friends list always updating, making me lag out when I hit ESC from in game. If I can get help with this, I'd be thankful. I hate only using ToonHUD. RyoTheNeko89I hate only using ToonHUD. Thats what i like to see! Open MainMenuOverride.res > Look for "FriendsContainer" > set the xpos to "9999"
[quote=RyoTheNeko89]Hey, how would one remove the friend's list from TF2 huds these days. I have a problem with the friends list always updating, making me lag out when I hit ESC from in game. If I can get help with this, I'd be thankful. Hypnotize RyoTheNeko89Hey, how would one remove the friend's list from TF2 huds these days. I have a problem with the friends list always updating, making me lag out when I hit ESC from in game. If I can get help with this, I'd be thankful. [quote=Hypnotize][quote=RyoTheNeko89]Hey, how would one remove the friend's list from TF2 huds these days. I have a problem with the friends list always updating, making me lag out when I hit ESC from in game. If I can get help with this, I'd be thankful.